is to wake up singing or laughing. A few weeks ago I woke up & started singing “We Shall Overcome”. I love it when I wake myself up laughing. It’s a great way to start the day. Another bit of dreaming pleasantry is when Elsie would chase something in her dreams. Her little paws would just go, and she would bark quietly. She rarely barked while awake, although she found her voice late in life. I’d heard her bark less than 5 times the first 4 years I had her. She started barking more about 6 mos. ago. It was a joy to hear. 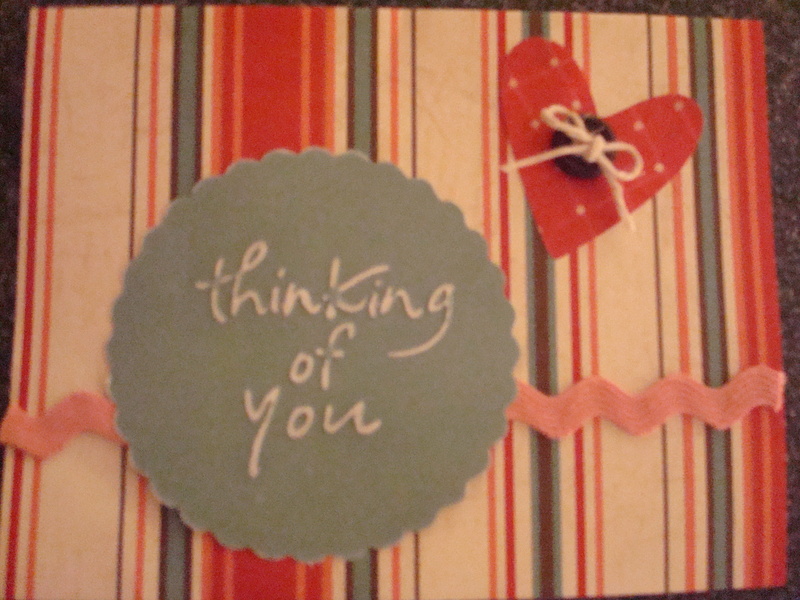 Obviously, thinking about her is a little hurtful to my heart, but it’s also nice to remember. A fellow I worked with years ago lost his 20 year old son. I saw an obituary today. I can’t imagine the pain he and his wife are feeling. It has to be the worst feeling one could feel, the loss of a child. 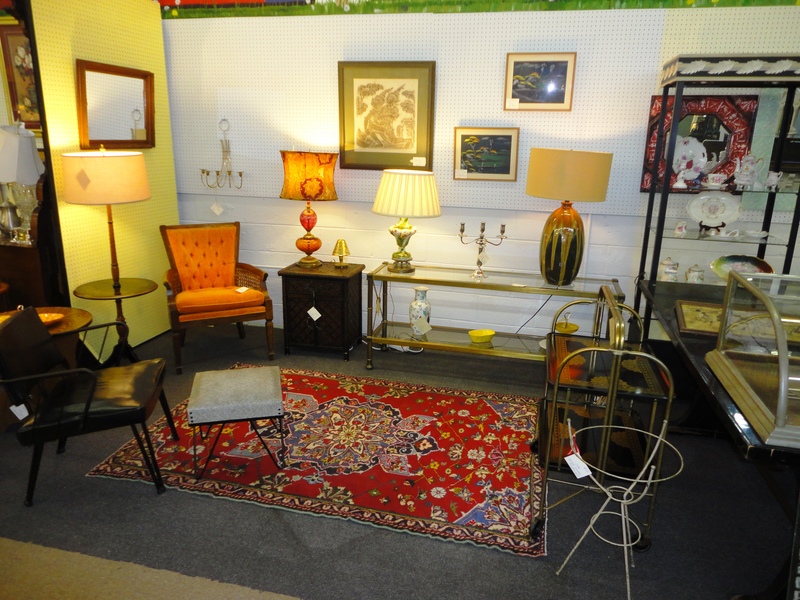 I will leave you with a picture of… my booth at West End Antiques. Went over and cleaned & rearranged and added and subtracted today. I’m not a morning person. Perhaps it is because my dreams are usually so unpleasant! And I do have poems that come out dreams, so some of those can be a downer. I was on the biggest high last week because I had the opportunity to be with my sister & her family, who live in IN. I wish it was more time. I’m going to try to visit so I’ll have more alone time with her. Plus I’ve been sick, sick, sick. What started out as cold + asthma became a bad case of bronchitis + asthma. Had a breathing treatment @ the doc’s and she prescribed some prednizone & antibiotics. I expect to be doing better tomorrow, because the presnizone will help with the asthma. And by Thursday I’ll be feeling pretty good. Fortunately no one else in the house got sick. Andy just called from college to tell us about a moon halo. It was very cool. I was worried at first because he usually doesn’t call, he texts, plus it was 11:37 when he called. First thing: “Are you alright?” And he was, and he was excited. I love to see him excited. Tobey McGuire is on Conan. I really like him as an actor. Cider House Rules was a great adaption from novel to film. I’m still reading Season In Purgatory. It’s a fictional account of a true event-the Martha Moxley murder. 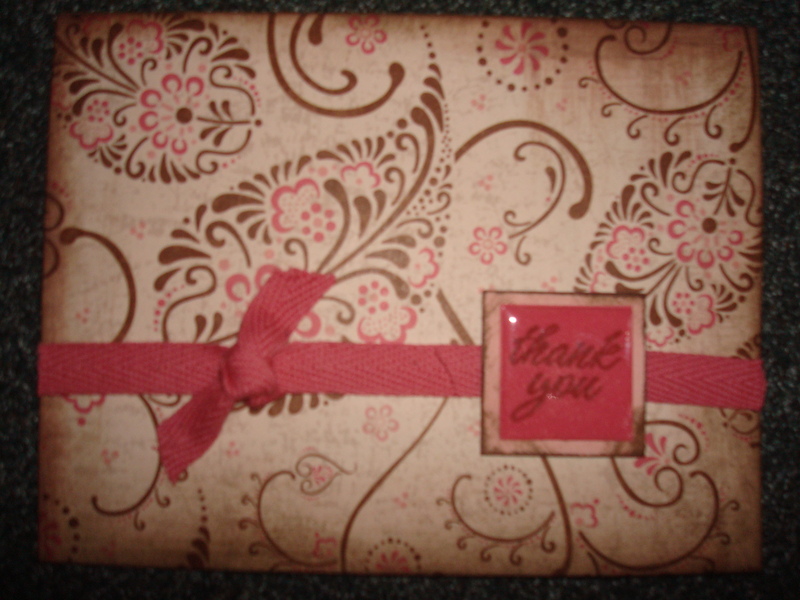 I also received a book that one of my friends recommended by Ann Rule. I like her books. The Stranger Beside Me is incredible. It’s because she knew the serial killer Ted Bundy, worked with him at some sort of emergency hotline while he was doing all this killing. Never suspected a thing. After it came out that his name was Ted people even teased him about being the serial killer and he just laughed it off. Amazing! And her book about the Green River killer, Green Killer Running Red was very comprehensive. She’d been writing it for years, even before he was caught. I missed my writing class tonight, but I sent my assignment in. I hope I get some from the other students. They are very fascinating folks, really good writers with rich, full stories to tell. I’m sitting here with Elsie beside me. I’m going to find a picture to put in here because I like to read blogs with pictures in them. 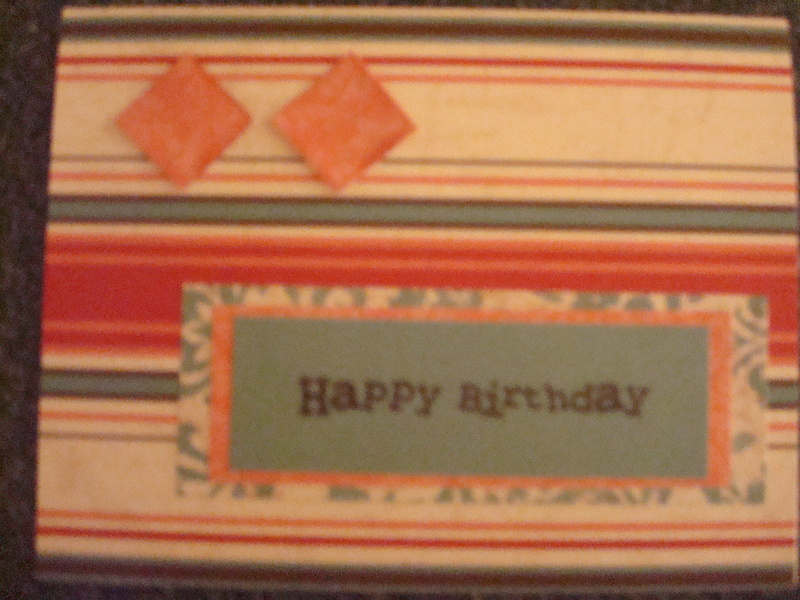 I’ll put in a few pretty greeting cards I’ve made. 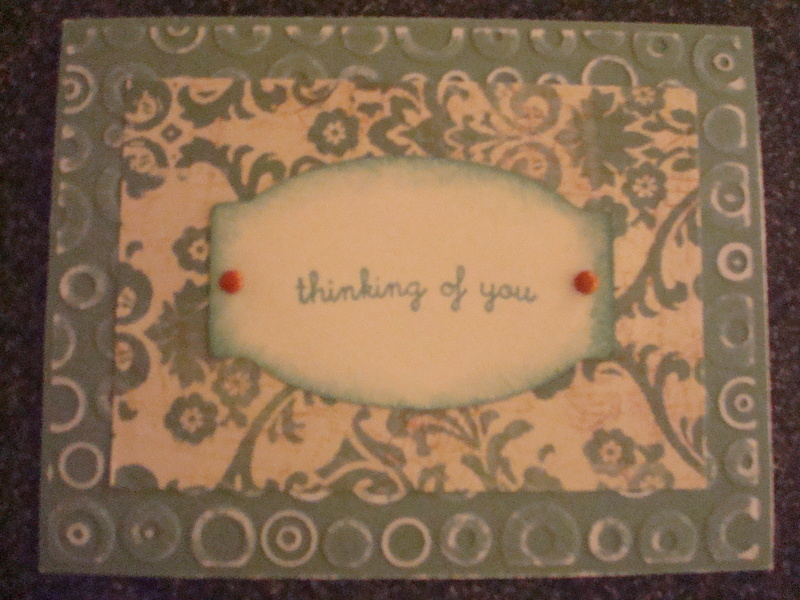 I love making them and I haven’t been doing it as much as I used to because my supplies are scattered in different places & I don’t have a studio anymore. Anywho, here a few. as usual, someone was angry with me. Of course, it’s my guilty conscience. Why can’t I just dispense with it? Turn off the old tapes? I’ve had versions of all of these. My favorite dream is when I am floating above everyone. Sometimes it’s like I’m attached to a balloon or some other quite device that propels me to the air. These have a sense of possible danger, but are exciting. My favorite is when I’m holding onto a pillow like I would a float in the water and just drifting 1-2 feet off the ground, floating around, looking around. Ohhhhh, how I love dreaming that and wish I could do it in real life. Feels so free. Ha, just read the description & no wonder it feels so good. All of the other categories are usually anxious dreams. I also have a dream a lot where my vision is impaired. Haven’t had the teeth dream in about 5 years-I used to dream a lot that my mouth was filled with metal shards and if I moved it, I would be cut. I like the site, I’m going to explore some more. Will let you know what I find. I’ve had 2 or 3 metaphyscial dreams which I felt were messages of reassurance from God, I’ve had a few dreams which felt like they were from a past life. I dreamed of Tim and the boys at least once before I ever heard of them. I dreamed of Tim twice before I met him, although I knew who he was. I felt like it was a message that I needed to be a friend to him. Interestingly, once when I was talking in my sleep, which I do a lot according to Tim, he heard me speak an entire sentence in another language, German he thinks. And I don’t know German, although I’ve had some interesting experiences with things German. Once at a dinner party, I totally connected with a woman from Germany who spoke very little English and I spoke no German. We ‘talked’ for hours. I can’t explain it. Althought I’ve never been to Germany or been taught the language, sometimes I understand it some in the written and/or spoken word. Oddest, of course, speaking a sentence of German in my sleep. There are a few more but I can’t think of them right now. Ta Ta–on to the dream site! Leslie, I’m sure you don’t mind, I decided to start a new thread with your dream. I thought this was quite funny. Stephanie & I have a great friend, Theresa, and once she dreamed she had a litter of kittens! Your dream reminded me of this. I am going to google dream of woman delivering animal or something and see what comes up. It has to mean something! I believe if a dream remains extremely vivid, it definitely has significance. Also, you are just full of sass & verve. I love it! You are another powerful, creative, entrepreneur, please include a link to your business next time. It inspires me to see women following their dreams (tangible ones!) by having their own businesses. 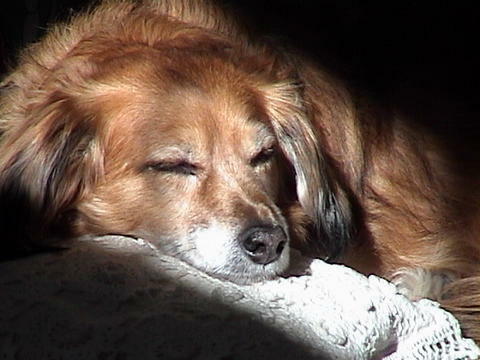 added by Julie–since you mentioned beagles, must show you my precious Ryder, dachshund/beagle mix, 1993-2007. I’m going to insert his pic, hopefully will be where it is supposed to be, Ha Ha! Here’s my boy. What are dreams to you? They can be an idea or wish of something we want to accomplish. Or, they can be those interesting activities that go on in our minds when we are sleeping. I’m going to speak a bit about them. A little while ago one came to mind I want to share. I don’t want to make a long story, but I was brought up Baptist, I am still a moderate Baptist, but I’m beginning to wonder about organized religion. It seems there is always so much conflict, and one wants to be right and make the others wrong, etc. However, I think if a church is where I can be the most connected, I’m there! Hasn’t been the case for me recently, but that may be changing. Anyhow, I fear death. I joke that I’m still not sure if I’m going to hell or not when the truth is I don’t even believe in a hell that doesn’t exist on this plane. So, I thought I feared hell more than death, but a dream I had within the last few years showed me otherwise. First, I’ve had a recurring dream about plain crashes throughout my life. It started with a knowledge of a crash at the airport, each dream brought me closer to the airport over the years until I saw the plane crash. Then I didn’t have the dream again. I did have another dream where I was in a plane that crashed and I knew I was going to die. I felt fear, then an incredible peace and feeling of safety. I welcomed death. Then I woke up. I believe we are sometimes blessed with reassurances from Spirit in our dreams. I could go on about other dreams I’ve had in which I felt this. They are somehow different. This one didn’t feel like one of those. I did remember the feeling of being without fear vividly, however, and it was like a precious gift. I had no idea how much fear I have in my life, which I, of course, have tried to become more conscious of. Let me know if you have any dreams to share, or want to ‘talk’ about. I love dreams. I write them down a lot and sometimes I can’t read what I wrote! They are usually a little unpleasant, but that one offered me a glimpse of what it would feel like to not have fear. Oh, by the way, I always take a tranquilizer before I fly. I’ve been doing this about 5 years, and Jeezum Crowe, it’s so nice not to be staring at the flight attendant the whole time, to make sure he or she doesn’t look panicked! And being able to breathe during takeoff and while landing. I like breathing consistently.